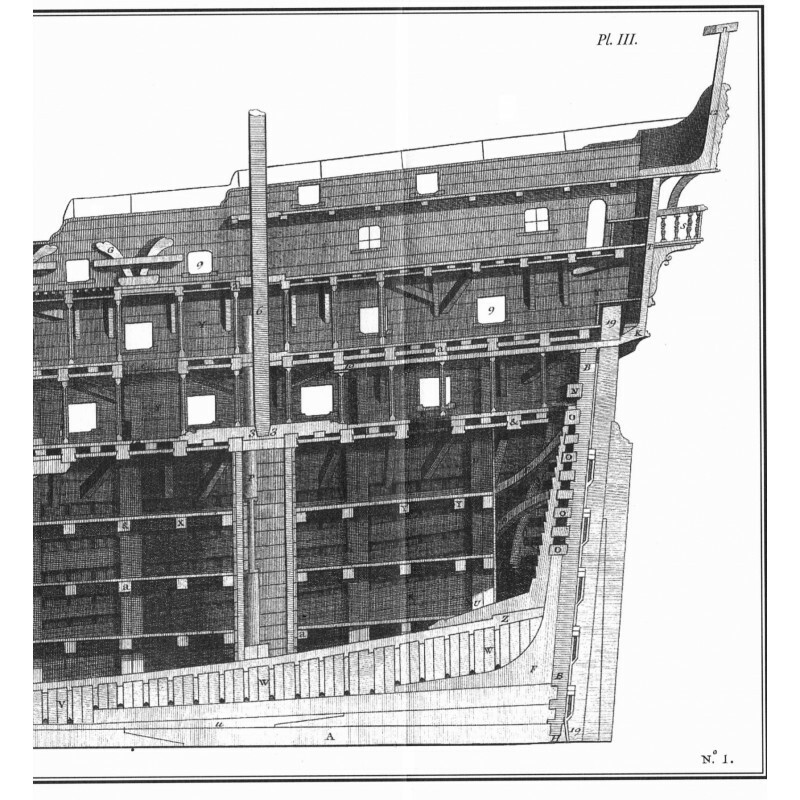 THIS PRACTICAL TREATISE ON SHIPBUILDING is rightly the most famous French work on naval architecture. 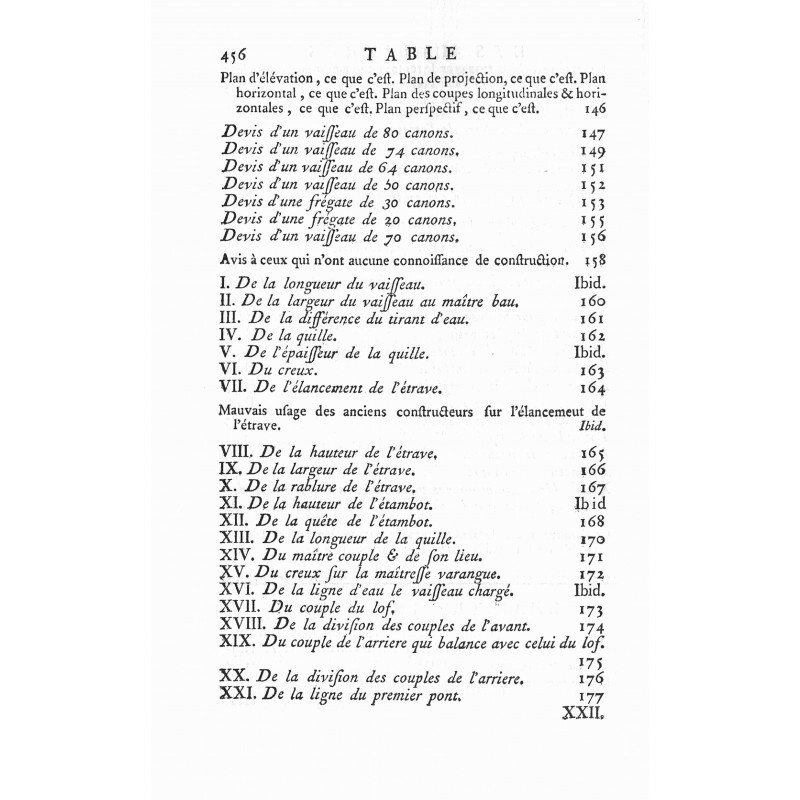 The first edition in 1752 contains nine chapters that discuss timber works, the proportions of the vessel, its conception, shipbuilders' methods of construction, the weight of the vessel, the necessary volume of the underwater hull, hydrostatics and hydrodynamics. 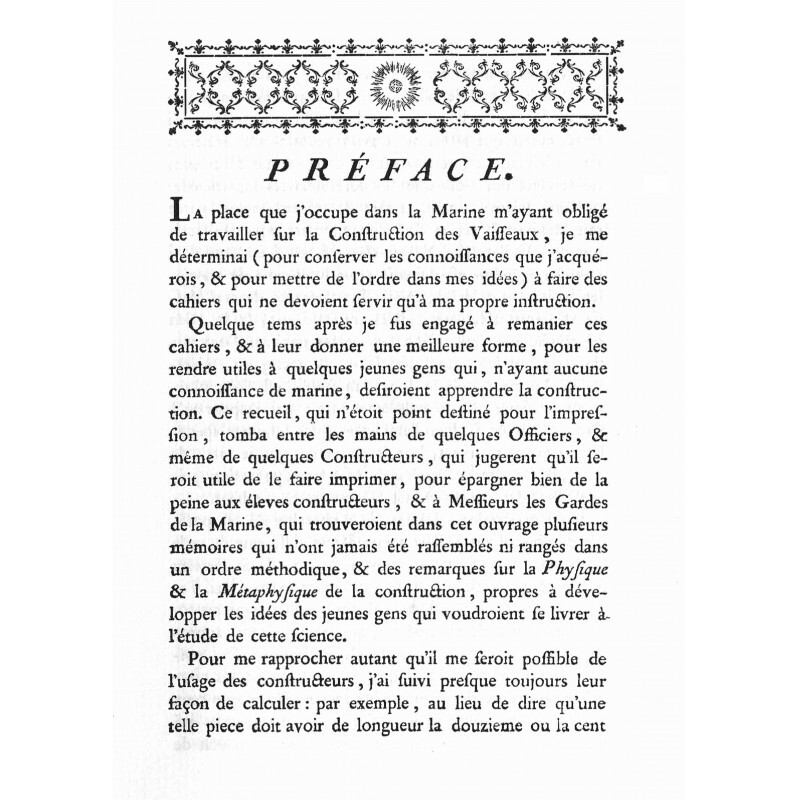 As immediate and widespread success (the work is quickly translated into English), the first printing of the treatise is soon followed by a second edition in 1758 to which the author appends a tenth chapter devoted to the stability of the ship. 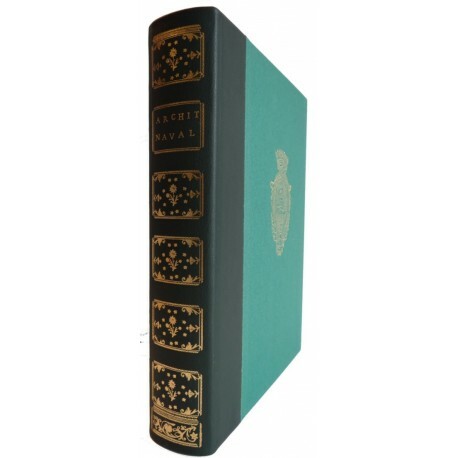 In our collection we offer this second more complete and expanded edition. The treatise was intended for use by novice builders and the Naval Guard (student officers). It is quintessentially practical in its scope, due to the direct participation and collaboration of shipbuilders themselves. 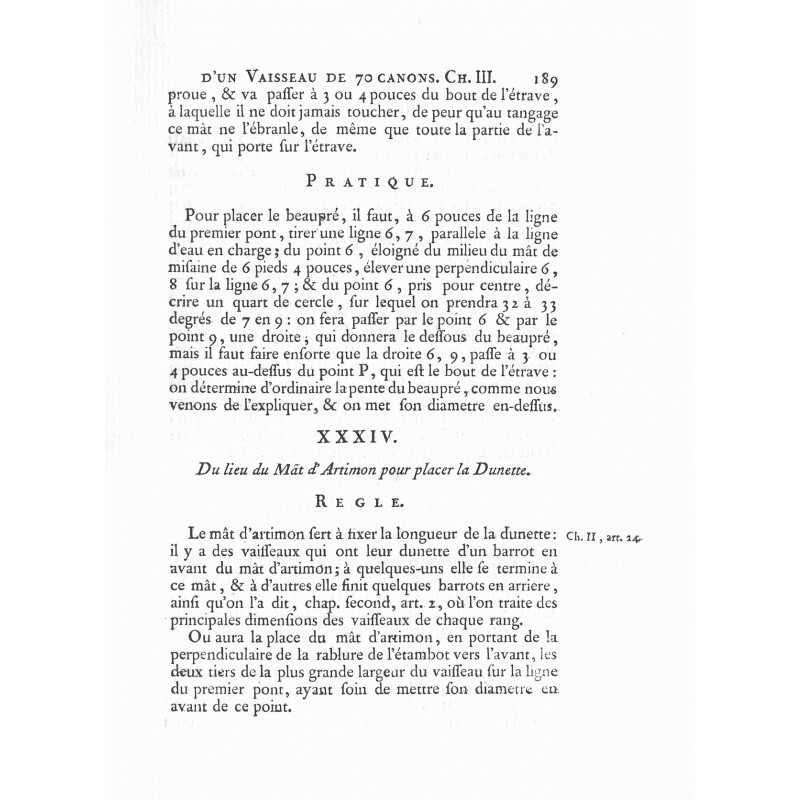 The greatest value of Duhamel du Monceau's work, however, lies in the general accessibility in a printed publication of all the basic calculations and reckonings necessary for shipbuilding. 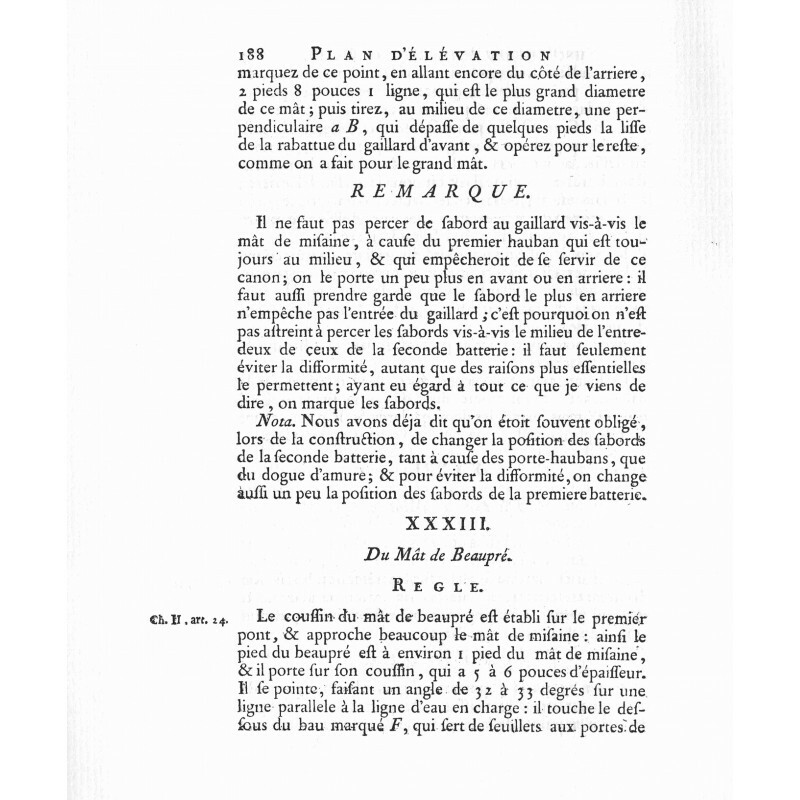 This is made possible by the plans included in the work, which are an indispensable visual aid to reasoning and the development of logical thought. 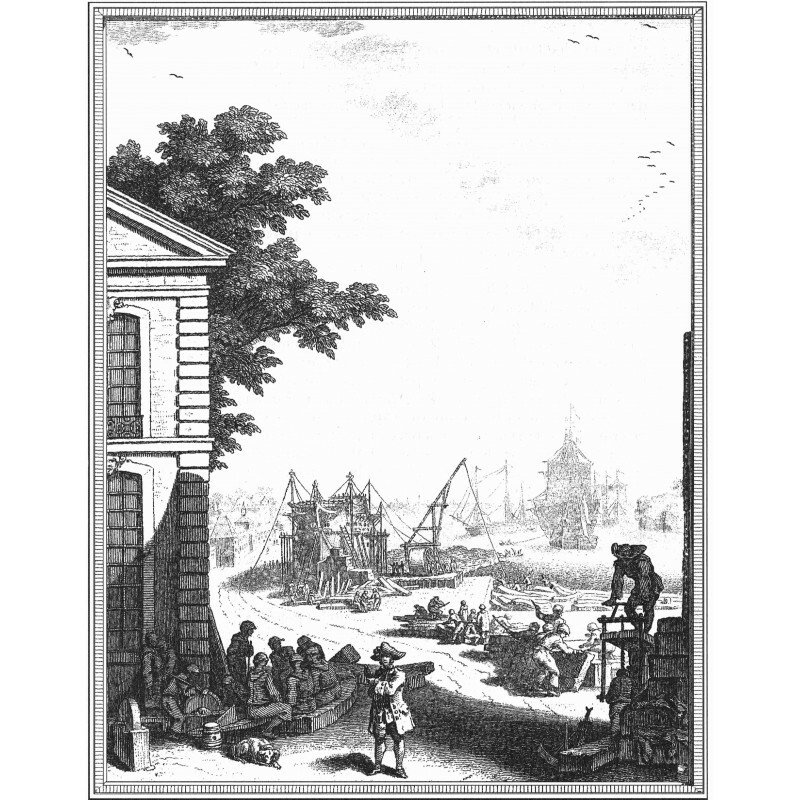 The basic principles presented in the book, enhanced by a detailed description of building practices in the shipyards, are at the origin of the progressive evolution of the school of French naval architecture after 1758. A ground breaking work, The Elements of Naval Architecture will find a place, if not a preeminent one, in the library of all naval enthusiasts. With this reedition of a classic study, we hope that it will become a familiar acquaintance, and perhaps an old friend, of the enthusiast. 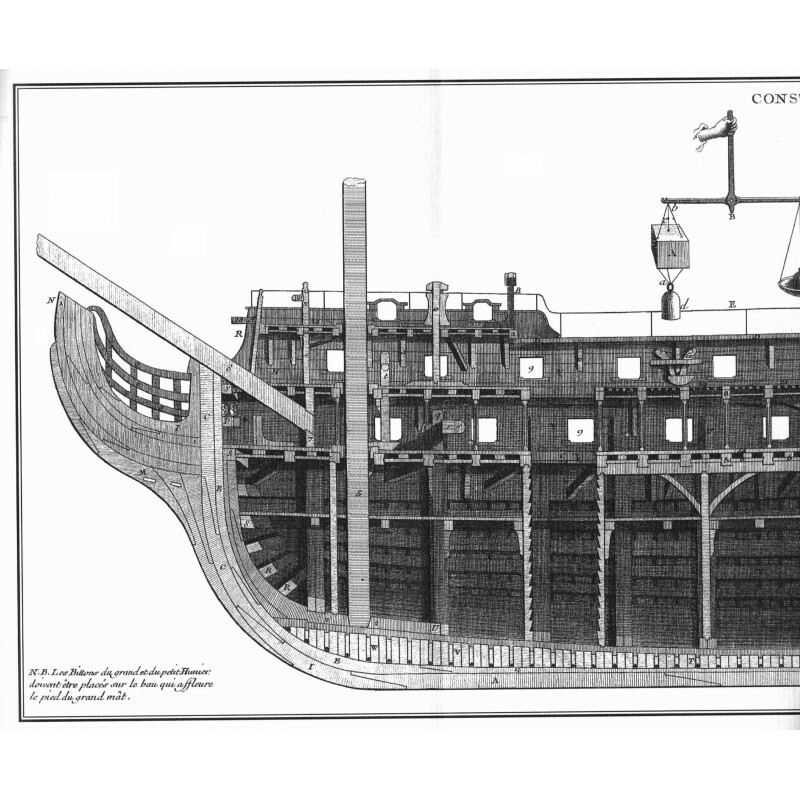 (*) In fact, Blaise Ollivier's manuscript treatises on shipbuilding are the origin of a truly scientific approach to naval architecture. Printed on 90 gr. Ivory Vergé paper . Green full-cloth binding with headband and bookmark.